A donate button based on the TransferWise API to make donating in different currencies cheaper for both parties. Data shows that a charity loses on average $35.000 a year, crowdfunding campaigns of $150.000 lose €5.000 before they even start and bloggers/vloggers/streamers lose more than $500 a month; all because of currency exchange. 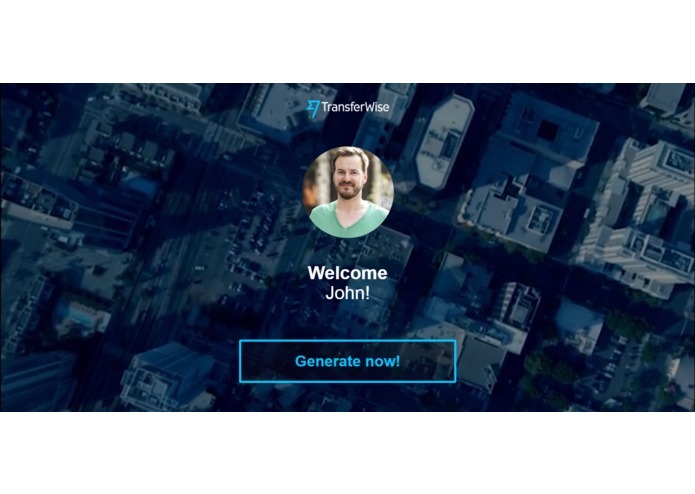 This got us inspired to use the TransferWise API in order to make donations in the previously mentioned three application areas more beneficial and cheaper for both the donator and the receiver. Our end product is an html-widget that is easy to use by everybody. If you are a streamer you just add a link to the description. For a donation it is a ready made piece of code and also crowdfunding campaigns can easily use and connect to our service on the platform of their choice. It connects donations with the transferWise service, which makes transaction costs between different currencies up to 20x cheaper when compared to similar services. The documentation of the TransferWise API was not complete, this proved to be challenging. Also we had some troubles on a more conceptual level, since the current user flow in the process of using TransferWise is far from optimal due to a relative long transfer time for transactions. CSS, Photoshop and that something, seemingly so simple, can prove to be an enormous challenge when developing it from start to end. Sleep is for the weak, git is hell and heaven simultaneously. We hope that TransferWise sees the value of this application and will consider to further develop this vital feature. Creating webpages, battling git conflicts. I worked on the backend side that uses the TransferWise API. I worked on the front-end side.